Whether you’re after a boundary fence for your property, a feature fence to enhance your home’s exterior or a speciality pool fence that meets all your local council’s regulations, you’ll need a professional to ensure the job’s done right. From the quoting and contract stages through to the installation process, there is a lot to consider, particularly if you’re after a fence that will service and protect you, your family and your property for many years to come. Here are our Top 5 tips for choosing a fencing contractor. When it comes to hiring a fencing contractor, make sure you do your research, obtain written quotes and when reviewing, factor in things like the materials they’ll be using, their proposed timeframe and of course their past happy customers. Referrals are a great way to source qualified contractors as their reputation proceeds them! You should never be charged for a quote nor pressured to pay for the job in cash, and while finding an affordable option is important, you should also not compromise on the quality of the end result. What fencing materials would you recommend and why? If you are replacing existing fencing, do you remove old fencing materials as well? How often do you finish on time and within budget? Do you require any permits for this fence installation? If there are any obstructions (like trees or rocks), will you include the removal cost in the quote? What happens if someone breaks something on the job by accident? Does the quote include gates? Once you have chosen your preferred fencing contractor, you’ll need to make sure that a signed contract is in place. This should include a written estimate of all work to be undertaken, the total quoted price for the project, the project’s start and end date and the cost of any necessary construction materials. Both parties should obtain a copy, and your fencing contractor should also supply you with any requested warranty information, including copies of guarantees regarding both the product itself and your fence’s construction. When it comes to choosing the right fencing contractor, make sure you source companies who specialise in the type of work you want done. Professional fencing businesses should be experts at installing a variety of fences for a variety of needs (both aesthetic and functional), from modular, paling and picket fences to chain wire, PVC and tubular fences. Another important factor when deciding on a fencing contractor is to make sure they can meet your deadline. Of course, you need to allow for delays due to bad weather and public holidays, however agreeing on a rough contract period will ensure both parties are happy. This is particularly important if you need a fence installed reasonably quickly, for example, for safety reasons or if your house is on the market and you want to increase its sale value. Choose a fencing contractor that communicates well with you, as you may be working with the same company and in fact the same employees for some time. Make sure they clearly explain the process, any potential problems and the costs to you, and that they keep you continually updated on their progress. Trust is also important – you should feel comfortable with your contractor being on your property, and that they will alert you to any problems or delays. Your contractor should accept accountability for these, be transparent with the issues and provide adequate solutions to guarantee the whole process runs smoothly. When hiring a fence contractor, their company’s values, service standards and experience is also crucial. Do they conduct themselves in a professional manner? Is their customer service team available regularly and do they respond quickly to queries? Have they been in business for some time and therefore have a portfolio of work to exhibit? All of these factors will ensure your job is of the highest quality and is done on time and within budget. All fencing contractors should be fully licensed, and should always be able to produce the relevant documentation if requested regarding their business. In Queensland, a fence is classified as a ‘fixed structure’ and these are regulated by the Queensland Building and Construction Commission Act 1991 (QBCC Act). Under the QBCC Act, a contractor must hold a QBCC license to construct a fence in a domestic dwelling unless the value of the fence is less than $3,300, and the class of licence issued also depends on the construction materials being used. In terms of insurance, public liability insurance is the most common form taken out by the trades and construction industries in Australia, and it protects business owners (and therefore you) in the event of their work resulting in property damage or personal injury to another person. Many businesses also take out plant and equipment insurance to cover the loss, theft or damage of equipment, particularly if items are left onsite overnight. 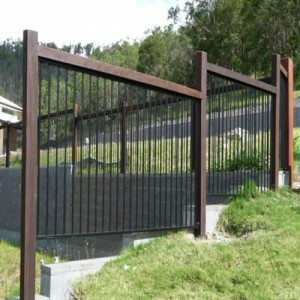 Here at FenceCorp we design, manufacture and supply fencing to both domestic and commercial markets, and we fully support Australian businesses by purchasing all of our materials from local Queensland suppliers. We are committed to quality products and have maintained solid partnerships with some of Brisbane’s best builders, landscapers and fence installers. You’ve chosen your fencing contractor, now it’s time to choose your fence! Contact the professionals at FenceCorp today on (07) 3715 5055.